The most classic programs and the starting point for all trekking activities in the area. 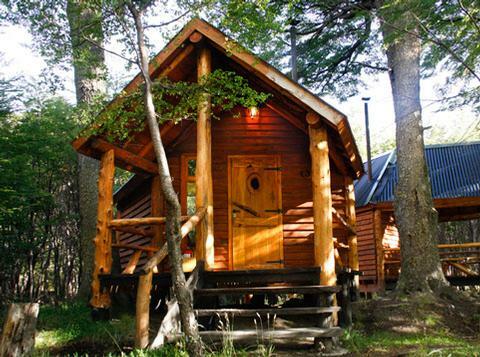 Designed for those who have only a few days in El Chalten and wish to see Glaciers National Park enjoying wonderful hiking days with cozy lodging at the Eco Camp, which is now called Laguna Condor Refugio de Montaña ​. In the morning after breakfast passengers will be able to enjoy one of the most important treks of the area.Transfer to Hosteria el Pilar to start our trek to Laguna de los Tres,the path continues with a ascent slope of aproximately 400 m of drop until reaching laguna de los Tres. The path ends in an old glacier moraine with a stunning view of the lake and los tres glacier. This is the closest you will get to the granite walls of Mt Fitz Roy and its needles. Going down the moraine you can continue by a path surrounding the lagoon until its beginning, where you will appreciate Lake Sucia and its glaciers In the afternoon we will sleep in Thorwood camp Duration: 6 hours Distance: 13 km Drop in ascent: 300m B...BL...D...Thorwood camp. •Meals: Day 1: Dinner | Day 2: Breakfast and Box Lunch| Day 3: Breakfast,Box Lunch and Dinner | Day 4: Breakfast and Box Lunch. Note: The program begins and ends in El Chalten. The meal service is mainly composed of fresh and home made dishes prepared with typical methods that give the kitchen a particular stamp. The working procedures follow strict hygiene standards in charge of trained and supervised by the Executive Chef here. 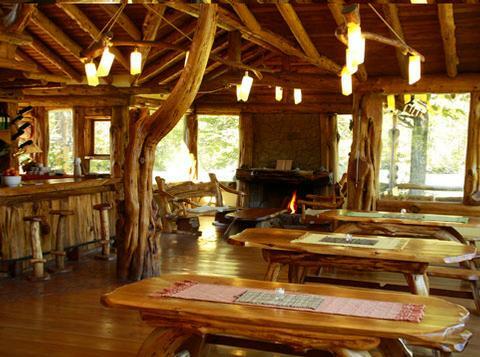 The cozy timber lodge is built on the shore of Rio de Las Vueltas at it has unique views of Mt. Fitz Roy’s north face. It has a great dining room, surrounded by the warmth of it’s beautiful timber. There are 8 wilderness cabins.. Each has two beds, firewood stove, private deck and they offer all the privacy to enjoy the beautiful forest and setting - something in between camping and a hotel, with intimate contact with the peace of the surroundings. The separate toilet block offers very conformable showers and lavatories, hot water is of course always available.